Everyday I get to deal with my four year old (Almost five year old. I heard it gets better once their five, fingers crossed) throwing a tantrum. Or getting mad that her sister took something of hers or ruined something of hers. She also will tell me no in a very mean way. Then when I tell her I need her cooperation she completely breaks down and start crying and saying, "I'm so sorry Mommy. I'm such a bad kid." This happens EVERY. SINGLE. DAY. I am so glad we are talking about peace this month for our value. 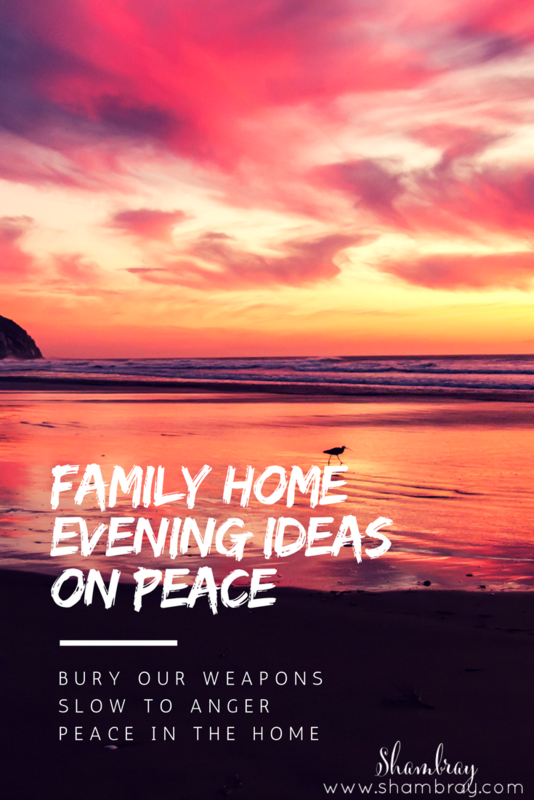 Every month I like to focus our Family Home Evening Ideas around our value. I started looking for Family Home Evening ideas on peace. I really think a great way to teach kids about peace is in simple ways. Of course with older kids and adults you can get into wars and riots and all those fun things that this world is providing us. 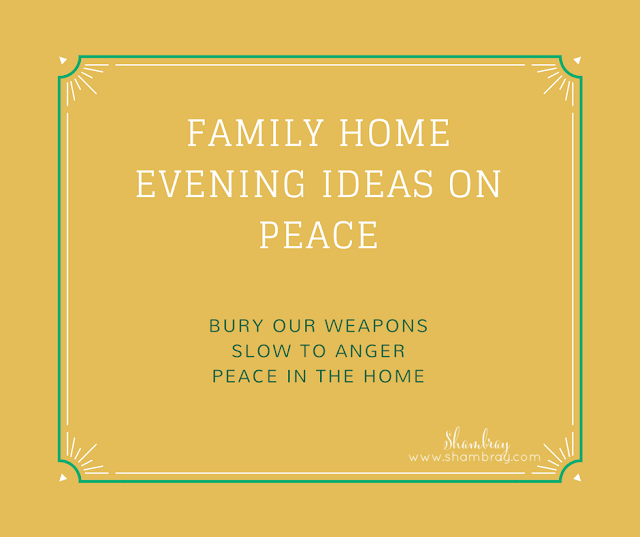 However, with young kids I like to teach how THEY can have peace in their life and that starts in our homes and also with their friends. That is the approach I took when looking for FHE ideas on peace. I found four different lessons that summed up my thoughts perfectly. They are listed below by their lesson title.